Happy Monday everyone (if there is such a thing)! I had a great weekend with family and friends enjoying the last few weeks of summer. Grad school classes start next Wednesday for me…I can’t believe September is almost here! I recently picked up the Veggetti (mentioned in my post here), so I wanted to try making squash and zucchini “noodles” and see how they came out. 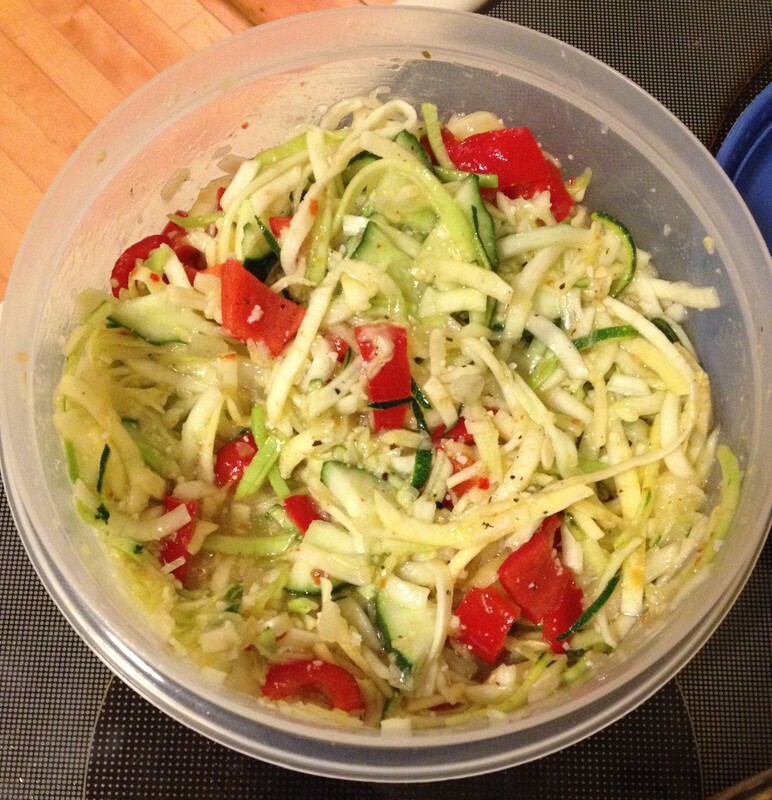 I decided to make a couple “pasta” salads to bring to the beach this weekend, so I grabbed a couple summer squash and a zucchini and tried the Veggetti. 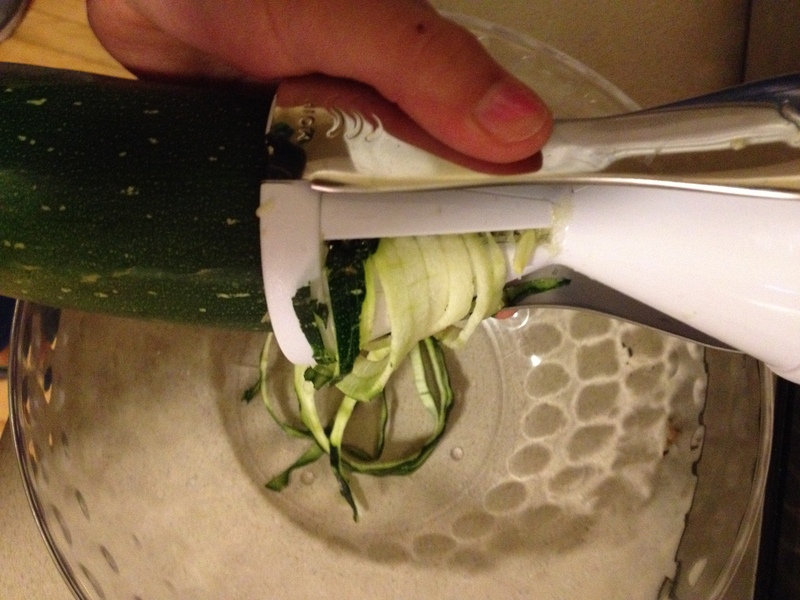 It was SO EASY; you literally just twist the veggies into it and they come out in long, spiralized noodle form. I literally turned around and my boyfriend had already turned an entire squash into noodles. 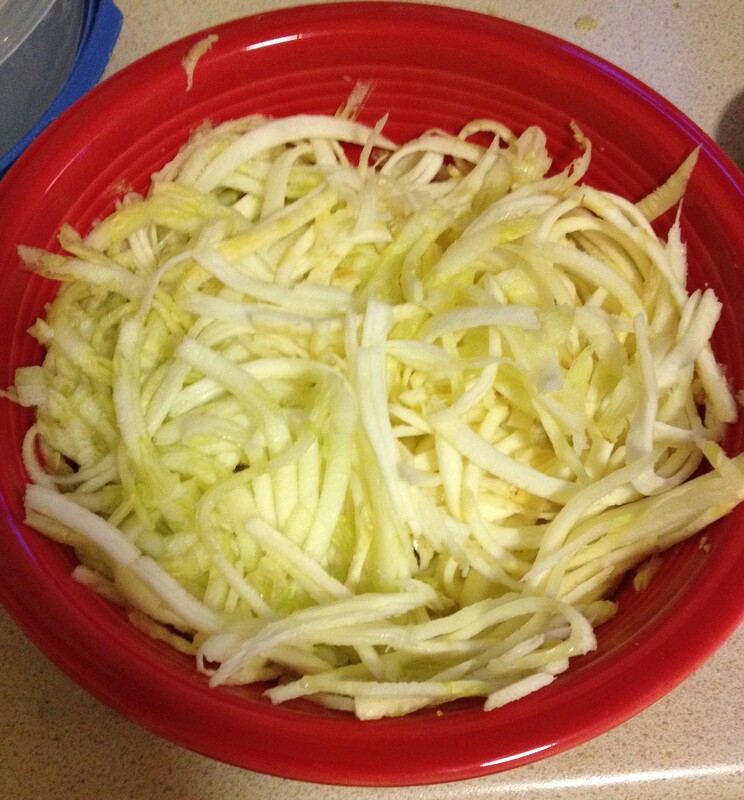 Then you just chop them a bit so they aren’t so long, add your favorite ingredients, and a healthy salad is born. Doesn’t get much easier than that! I decided to make two salads this weekend; one with pesto and feta and the other with Italian dressing and parmesan. 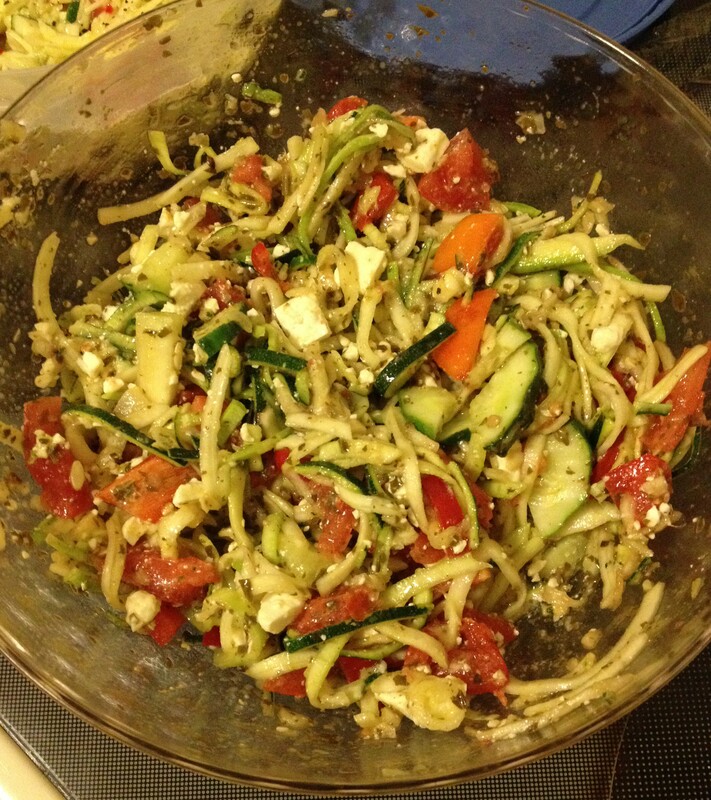 Both were a huge hit with my parents and friends; everyone was surprised they were zucchini and squash noodles! I left the noodles raw in each recipe rather than saute them, since I was serving them cold. I think I will try sauteeing them in olive oil when I make a hot main dish with the “noodles”! For each recipe, add however much of each ingredient you like, mix together, and enjoy! 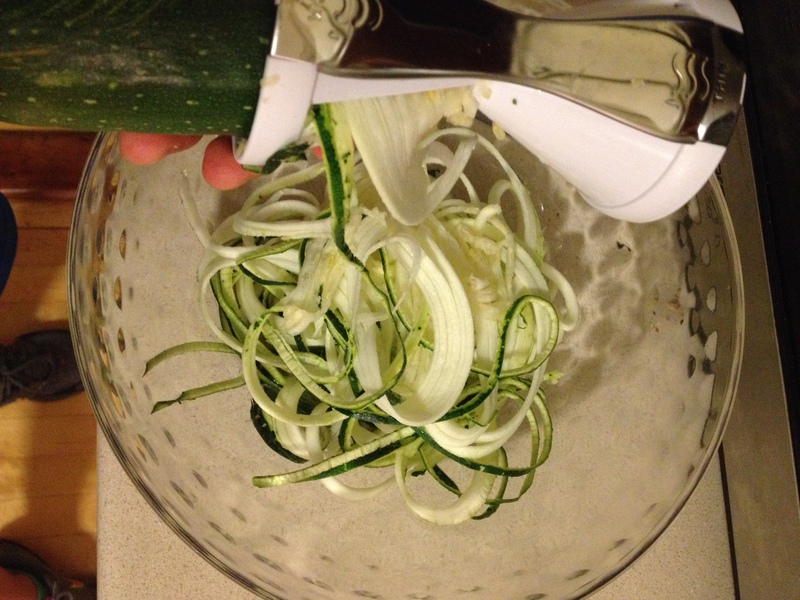 Anyone have any other recipe tips for using the zucchini and squash noodles? I would love to hear any new ideas!